An in-depth exploration of the human energy system and its crucial role in self-healing. 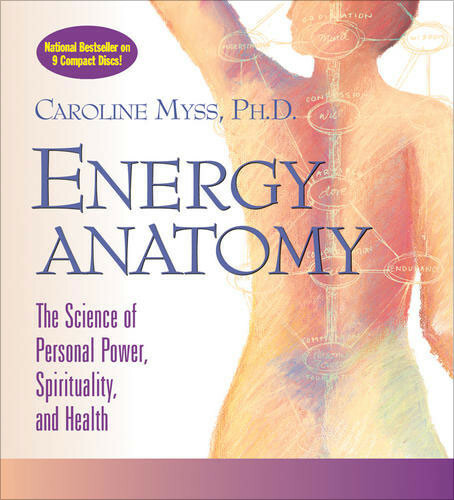 On Energy Anatomy, Caroline Myss teaches how the human body encodes thought, converts it into matter, and stores it as energy within specific areas of the body. After working with thousands of patients, Myss decoded the process of how these energy centers work—linked specific illnesses with past emotional traumas—and solved the puzzle of why some people heal, while others don’t. With Energy Anatomy, Caroline Myss’ foundational learning course, you will learn how to take back control over your life and your health. In 12 step-by-step sessions, you learn every phase of her groundbreaking work. Join her along this path of insight into the human energy system and learn the part of the healing equation overlooked by conventional medicine: your own spirit’s unlimited capacity for self-healing and divine connection. It took me awhile to warm up to Carolyn Myss. But the content of her talks is so valuable, and worthy of several listens (my criterion for owning a talk). However, when I want to put it on an MP3 player - the tags on 2 of the CD's are wrong. Disc 2 and 4 have the same tags as Disc 1. That is, the titles and times are all listed as the same tracks which are on Disc 1. I've only gotten up to Disc 4, so I don't know if this is true of other discs, but this is a premium product, bought at full price. It deserves to be perfect. I have never been disappointed by Carolyn Myss. In this series, she is concrete, direct, and highly comprehensible. I study with a mentor on a weekly basis and the message is the same just said in a different way with different examples. I truly feel that Carolyn's words transform my thinking patterns and therefore my flow with life. My mentor. Blessed be you.